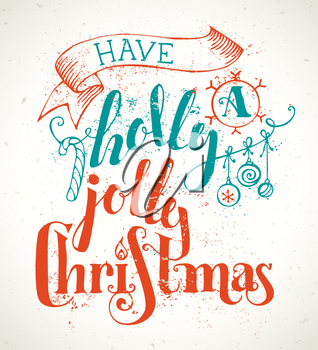 Grunge Merry Christmas lettering on old vintage background. Candy cane, Christmas baubles, ribbon and holly berry. Red and blue illustration.